At Broadway Eyeworks Optometry, we strive to provide comprehensive, primary eye care using state-of-the-art equipment including Optomap Digital Retinal Exams and Optical Coherence Tomography. Preventative and routine eye exams are important to maintaining good eye health, early detection of macular degeneration, diabetic retinopathy and glaucoma. Often, eye and vision problems do not have obvious symptoms or signs, but are easily diagnosed by a licensed optometrist. By diagnosing eye and vision conditions early on, our Optometrists are able to provide treatment options and in many cases restore or prevent vision loss. The American Optometric Association recommends yearly or bi-yearly eye and vision exams, depending on whether you are at-risk or not. Advances in the field of Optometry have produced a variety of different types of contact lenses with a range of benefits. Daily-wear soft-disposable lenses offer the best comfort and convenience for busy, active patients. Planned replacement and RGP (rigid gas permeables) are other types of contact lenses for those patients who prefer these contacts. Our Optometrists will discuss these options with you during your evaluation to determine which type of contacts will best fit your lifestyle, needs and budget. There are many factors to consider when determining if contact lenses are right for you and our knowledgeable staff is here to answer any questions. Laser assisted in situ keratomileusis, commonly referred to as LASIK, is a corrective alternative to glasses or contact lenses. Like glasses or contact lenses, LASIK is a method for treating refractive conditions including nearsightedness (myopia), farsightedness (hyperopia), and astigmatism. At Broadway Eyeworks Optometry, our doctors provide pre- and post-operative exams for LASIK and other eye procedures. Our staff of experienced ABO certified Opticians will assist you in personalizing your eyewear selections based on your lifestyle and prescription needs. We will educate you on the latest premium lens choices to help you see and look your best. We carry an enormous selection of prestigious designer frames as well as high-fashion sunglasses and sports-specific sunglasses, including Maui Jim and Oakley. We are knowledgeble with digitally surfaced lenses from Zeiss, Shamir, and Essilor/Varilux premium progressive lenses and coatings. 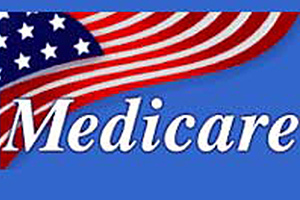 We are in-network providers for VSP, Medicare, MES, & CIGNA. Check with our staff if you have other types of coverage. Flexible/Heallth Spending Accounts (FSA/HSA) - May be used for routine eye exams, contact lens evaluations, and qualified optical purchases including contacts and sunglasses. We accept Cash, Personal Checks, Debit Card, American Express, Master Card, Visa, Discover, Flex Spending Accounts (FSA) & Health Savings Accounts (HSA).